Pain can have many different causes. It is very important to recognize, it is a warning of the body. It gives a signal to react on. By applying targeted treatment with Polar Frost, the pain can be alleviated considerably. Heat and cold are the two most common forms of non-invasive and non-addictive therapies for muscle and joint pain. Which you use depends on whether the pain is new or returning. In general, a new injury will cause inflammation and possibly swelling. Ice will reduce the blood supply to the injury, thereby reducing inflammation and swelling. Don’t use warm therapy in case of swelling tissue, it will give a contra indication, the swelling will be larger and the inflamed tissue spreads. There is an indication to be alert with using ice and cold packs. The treatment has to be controlled because the skin can be damaged if the cooling is to long and to strong. Use pain-relieving gel to avoid these indication, there is no danger to damage the skin. Polar Frost has Aloe Vera that keeps the skin smooth as well. 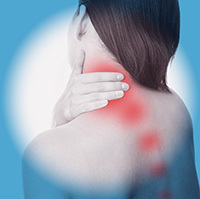 Pain relieving gel will help for treatment this indications. The Cold therapy can also help relieve any inflammation or injuries that occurs after exercise; this is a form of acute inflammation. The gel can sometimes also help relieve pain in chronic injuries. Polar frost gel is a comfortable way for treatment in this case. The first minutes of the injury are very important. Respond direct on the signal of your body and start treatment right away. Pain-relieving gel is easy to take along on traveling or to have it with you when you go out on sports, just in case. 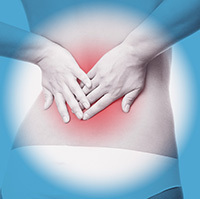 When your body is injured, the damaged tissue becomes inflamed. This can cause pain, swelling, or redness. The swelling is a natural response to that and the redness indicates the inflamed tissue. Treatment with cold will slow down the swelling and reduce the pain immediately. Can be used with ultrasound and electrotherapy treatments.